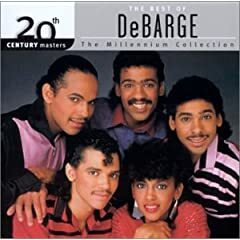 DeBarge was an American music group, whose repetroire included R&B, soul, funk, ands later gospel. Hailing from Grand Rapids, Michigan, the group is named for their shared surname, and included the brothers Mark, James, Randy, and Eldra (or "El"), and their sister Bunny. Millie Pulled A Pistol On Santa?! I'm Just A Soul Who's Intentions Are Good. . .
Cash Rules Everything Around Me, C.R.E.A.M.! The Present Is A Gift. . . .
Who You Know Better Than Hov? Do You Have Fishscale Yet??? You Ain't Been Hungry Since Supreme Clientele!